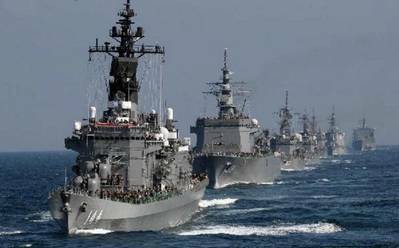 Japanese and Chinese defense ministers agreed that an early launch of a maritime communication mechanism and defense exchanges are important for the countries to prevent accidental clashes in their first such talks since June 2011, reports Japan Times. Japanese Defense Minister Gen Nakatani met with Chinese counterpart Chang Wanquan in Kuala Lumpur, the first meeting between the two nations' defense ministers in nearly four and a half years. However, they declined to say if they discussed China’s contentious moves in the disputed South China Sea. The defense chiefs did not see eye to eye on the South China Sea. Nakatani relayed the Japanese government's concerns about China's island-building project, including its effects on free passage. Chang replied that it is not an issue between China and Japan, and demanded that Japan refrain from actions "that will complicate the situation in the South China Sea." The Japanese side has not released details of the discussion. The meeting happened amid increasing tensions in the South China Sea, after a U.S. warship sailed within 12 nautical miles (22 kilometers) — the extent of territorial waters — of the Spratly Islands. Both Japan and Australia support the U.S. decision to send a destroyer into an area, which China calls its territorial waters.